A company's property under fire prevention measures may include automobiles, construction equipment, and fire prevention facilities, and some companies manage their inspection records with photos. With the accelerating spread of wireless connection today, people can take photos on the spot via smartphone, and send them back to the office right then and there. 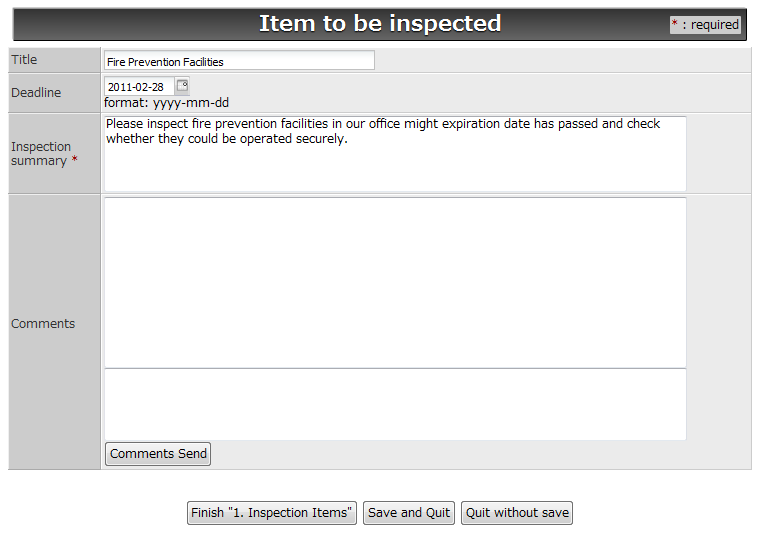 And the boss may be able to ask an employee to make a re-inspection, while the employee is still at or near the site.